"Ignacio José de Allende y Unzaga was a Spanish captain who sympathized with the Mexican people under colonial rule. He joined their fight for independence from New Spain, a decision that would cost him his life, but one that immortalized him as a hero to Mexicans forever. Today, the town named in his honor is a trip into both past and present. Classic colonial architecture lays the foundation for a city brimming with ex-pats from the United States, Canada, and abroad—and no one would blame you if you considered joining them as well. 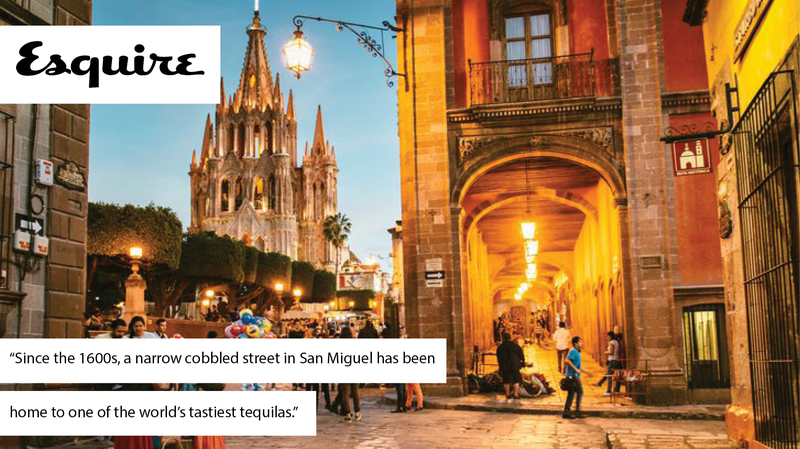 Since the 1600s, a narrow cobbled street in San Miguel has been home to one of the world’s tastiest tequilas. And Casa Dragones' six-seat tasting room, 'the world’s tiniest tequila bar,' is worth the price of admission."